Here’s one rockin giveaway by Rikrakstudios-click here to enter! 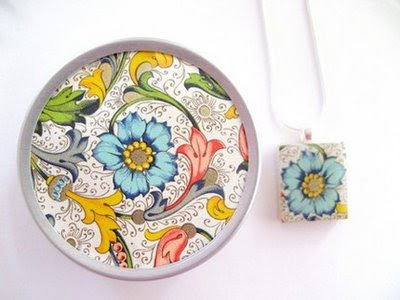 These earring are so cute and make me think of spring! Go here to enter! Knitsational is offering up this cute sewn ornies here. Kindred Roses are offering up this great apron & some lotion here. 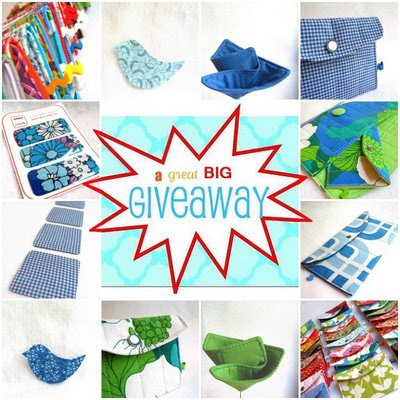 Kid-n-Around is offering up this awesome give away on her blog! Audrey’s Country Cratfs has this awesome giveaway here. 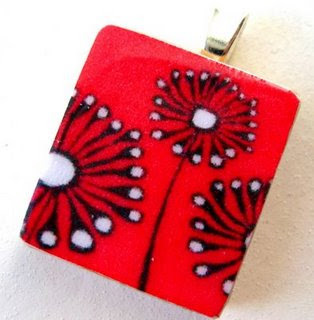 Jen over at 10oneworld is offering up this pendant! And we can’t forget that I was doing a giveaway last week! I’m sad I didn’t win your awesome giveaway….but, on the bright side, you rock for listing my giveaway! THANKS A TON!!! I love the ornaments and the puppets! I’m such a kid! Lol.